David Wyman has operated a management consulting group since 1985 providing a broad scope of professional human resource services. Management Resources was the initial firm started in 1985. This group became Wyman and Associates in 1990. Mr. Wyman has also held top human resource positions with major private and publicly traded corporations and has thirty four years of experience working in all areas of human resources. He has designed total compensation plans for both public and private sector organizations. He conducted comprehensive job analyses projects, prepared position descriptions, designed pay plans, conducted competitive salary surveys, performed organizational analyses, conducted employee attitude surveys, designed performance management plans and has conducted projects in practically every area of human resource management. He has served as Vice President and then President of the Chain Restaurant Compensation Association, an association representing the largest restaurant corporations in America and covering a half million employees. He has been honored to be selected as a guest speaker on the topic "Management Incentive Plans" at the Texas Restaurant Association Annual Conference. He was selected to conduct the Compensation and Benefits training session for the Fort Worth SHRM Chapter members seeking professional certification. He designed and conducted the original Dallas/Fort Worth Public Sector Salary Survey which was expanded to include the private sector and was then adopted by the Fort Worth SHRM Chapter. 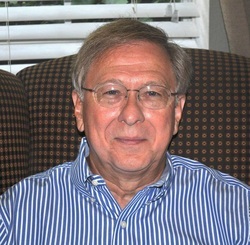 He has served as an adjunct professor at the University of Texas at Arlington and is a member of Mensa. He also was selected for inclusion in "Who's Who Worldwide" in the area of Human Resource consulting and “National Who’s Who” of executives and professionals. He has held the following positions: Vice-President Human Resources, American Service Companies; Director of Personnel/Compensation, TGI Friday's Inc.; Director of Personnel, Coca-Cola of North Texas; Director of Personnel, Fort Worth Star Telegram; Personnel Administrator, City of Arlington, Texas. He holds a Masters of Business Administration degree in Management from the University of Texas at Arlington and Bachelor of Arts degrees in Psychology and English with a minor in Business from the University of Arkansas - Fayetteville.